No, the Federal Bureau of Investigation (FBI) is not working for Mr Donald Trump - though Mrs Hillary Clinton should be forgiven for suspecting that. The reality is more troubling. Mr James Comey, the FBI director, was panicked into issuing his statement by the opposite fear - that if he had held back, Republicans would have accused him of working for Mrs Clinton. Mr Comey, the fearsome sentinel, has over-reached. Public servants should never take actions that could sway a presidential election. His lapse was a result of Mr Trump having already singled him out as part of a "rigged system". In a country so viscerally divided, neutrality is treated as collusion. On Friday, Mr Comey was hustled into making an error. Autocracies are run on fear. Democracies are held together by trust. The reckless timing of Mr Comey's disclosure that he was expanding the investigation into Mrs Clinton's e-mails is what happens when officials wobble. If Mr Trump wins next week, he has vowed to put Mrs Clinton in jail. His supporters chant "lock her up" at every rally. If Mrs Clinton wins, Mr Trump will find more Comeys to intimidate. When one side in a democracy throws around pre-emptive charges of treason - and there is none higher than rigging a presidential election - the ground on which the law stands shrinks. It is harder to uphold blind justice, or administer a neutral process, when a storm is blowing around you. Mr Trump's campaign is a howling gale. Mr Comey just lost his shirt. Can Mrs Clinton survive her October surprise? If the question is will she win next week, the answer is still probably yes. Though it is too soon for polls to measure the impact of Mr Comey's hand grenade, Mrs Clinton's lead last Friday was wide enough to sustain a couple of points of damage. If the question is whether she could govern, the picture looks different. Even a 1 per cent swing against Mrs Clinton could tip the race for the US Senate. Without a Democratic Senate majority, Mrs Clinton's chances of passing anything will drop. Even before Mr Comey's Halloween gift, it was likely that Republicans would retain control of the House of Representatives. The largest cost is likely to show up in the wake of a Clinton win. The narrower her margin of victory, the easier it will be for Mr Trump to spark outrage over a stolen election. It would also give him more of a grip over Republicans in Congress. Legislators respond to feedback from their districts. By Jeffersonian design, the House is where the link between elected and elector is most electric. If Mr Trump's base is inflamed, Republican legislators will take their cue. Most of their voters already believe Mrs Clinton is dishonest and corrupt. It is no great leap to endorsing Mr Trump's claim that the Clintons are a "criminal enterprise". It is hard to talk yourself down from such incendiary language. It would be easier were the target anyone other than Mrs Clinton. Before re-entering the White House, she would be the most investigated political figure in US history. Not even her husband has been the subject of this many probes and subpoenas. If she wins next week, Mrs Clinton will face many more. With the help of WikiLeaks, Republicans believe they have enough ammunition to open up fresh investigations. For ambitious legislators, holding her feet to the coals is a sure-fire route to folk-hero status. Their unwitting ally is Mrs Clinton herself. It is remarkable that she has not yet promised to sever family links to the Clinton Foundation if elected. At the moment, the plan is for her daughter, Ms Chelsea Clinton, to take over its day-to-day running. It is not enough for Caesar's wife to be clean. She must be above suspicion. The Clinton Foundation fails that test. It has taken billions of dollars from governments, companies and wealthy individuals - some dubious. That the cheques were made out for good causes is no help. To Mrs Clinton's foes, the foundation provides a cornucopia of stories and scandals. Governments such as Qatar and Morocco channelled money through Mr Bill Clinton, rather than the United Nations, say, or the Gates Foundation for a reason. In their view, it provided access to, and possible influence over, Mr Clinton. He and Mrs Clinton earned big speaking fees from some of the same entities. 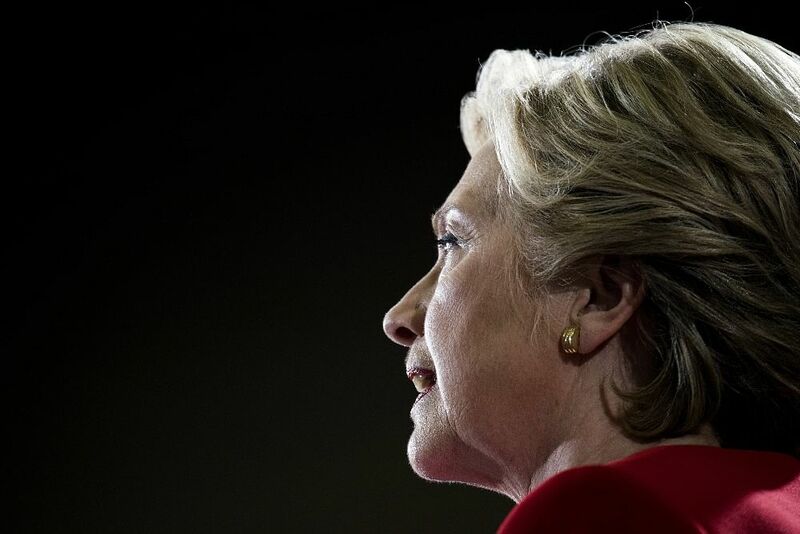 In a highly charged environment, Mrs Clinton would take office as the first president since Gallup started polling to have a trust deficit with the American public. Mrs Clinton is both the victim and co-author of her own torment. Every time she took a decision with any bearing on a former donor to the Clinton Foundation, there would be a perceived conflict of interest. That would apply even more to entities that have paid private speaking fees to either Clinton. Potential conflicts would not just feed the Republican mill. If a Clinton-appointed regulator dismissed some charge or other against Goldman Sachs, would the Democratic left believe it? If she approved a hefty arms sale to a Gulf state, could it be taken at face value? It is not too late for Mrs Clinton to promise to mothball the foundation. The longer she leaves it, the harder it will become. It is not just her husband's pride that is at stake, or her daughter's future. This is about her ability to govern America.